Whether you’re building a new home or you’re looking for a way to spruce up an existing façade, an exposed aggregate driveway is a fantastic option you should look into. It balances practicality and sleek design – making it suitable for any home – but what other advantages does it boast? We explore some benefits in today’s blog. Exposed aggregate is well known for being extremely durable because it is largely made up of concrete. The fact that you won’t need to get it replaced or dramatically updated means you will save money due to its long-wearing qualities. 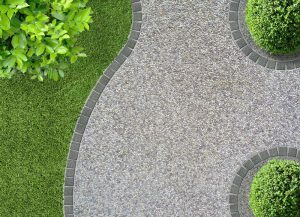 These features make it a perfect choice for high-traffic areas, like driveways. Because of the textured nature of exposed aggregate, the stones create a skid and slip-resistant environment. This means that it’s even more ideal for driveway surfaces, or even footpaths, gardens and poolside areas. Perhaps the best thing about an exposed aggregate driveway is that it is visually versatile. There are endless choices for concrete colours and stone types, meaning that no matter what the façade of your home looks like, you can find a design option that complements it. You can even get creative and implement wood or grass dividers as a design feature. You don’t need to seal exposed aggregate as often as you may need to with other concreting materials. This means that it’s not only cost-effective but it’s easier to maintain as well. To clean the area, all you have to do is hose it down as needed. The stones that are used in making exposed aggregate are naturally multi-coloured and multi-toned. 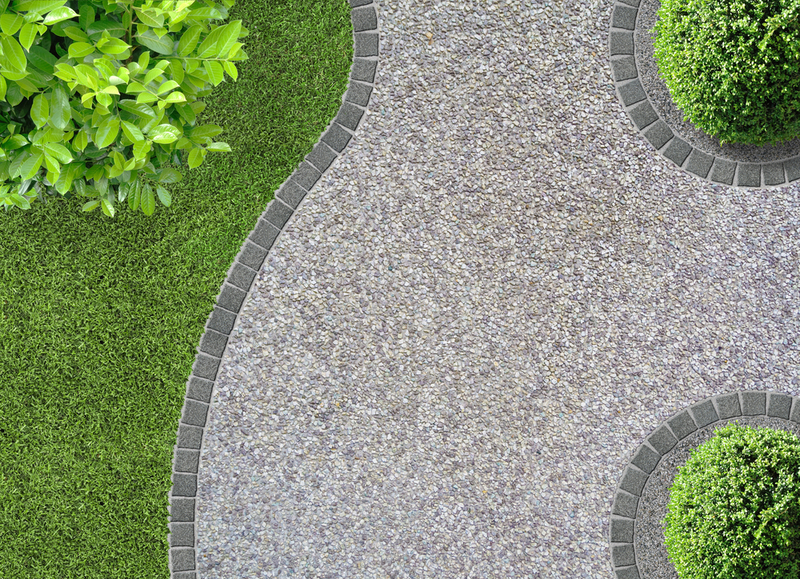 This means that if you do happen to stain your exposed aggregate driveway, it will not be recognisable at all because it will blend in with the existing colour palette. It is highly recommended that you consult a professional to help with your driveway. They can work with you on colour preferences and ensure the stone is mixed evenly with the concrete, achieving the most polished look possible. If you’re looking for a Melbourne-based professional that can help you achieve the perfect exposed aggregate driveway, contact A Better Driveway today. Our budget-friendly solutions don’t compromise on our high quality, and all our work comes with a 5-year guarantee of structural integrity.